I am perhaps a tad more environmentally conscious than your average guy. So, when I hear stories about invasive species, I tend to read on. Well, I have begun to connect the dots, and I see an alarming pattern developing. For quite some time, there has been concern that ASIAN carp will reach the Great Lakes and kill the fishing industry there, not to mention the havoc the behemoths wreak when they get airborne and hit boaters. Then, just days ago, I read about a nasty toothed fish called an ASIAN snakehead (specifically, a northern snakehead) found in a Maryland river–a frightening development for those who know this predatory fish referred to by National Geographic as “Fishzilla“. Now, just today, I read about an ASIAN tiger mosquito that has invaded big cities in the U.S. with its aggressiveness, daytime biting, and ability to spread disease. All of this has me wondering, what makes ASIAN breeds so much more dangerous than others? I am not sure, but I am not taking any chances. Nope. Not with young ones at home. No more Chinese food. No more Japanese cars. 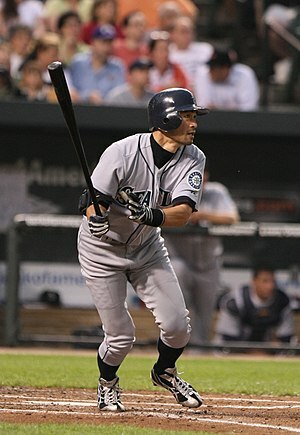 No more listening to Yo-Yo Ma or cheering for Ichiro Suzuki! Done!